A senior Audi executive will take charge of Northwestern’s marketing and communications team this fall as the University continues its push for a cohesive and unique brand. Jeri Ward (Kellogg ‘01, McCormick ‘01) will serve as NU’s first vice president for global marketing and communications, replacing Mary Baglivo, the former chief marketing officer who left last year. Ward will also replace Al Cubbage, who left Northwestern this summer, as the head of University communications. Ward will report directly to President Morton Schapiro, according to a news release announcing her appointment. Ward comes off a 26-year career in the auto industry, first joining Ford’s marketing team before climbing the ranks at Audi of America to become the company’s first female vice president. Before promoting brands, she worked as a General Motors engineer for 9 years. 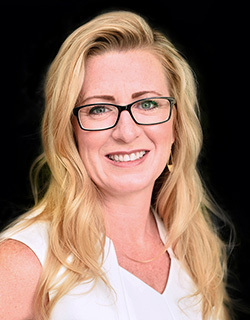 As head of the Department of Global Marketing and Communications, which merged with the Department of University Relations last year, Ward will direct a marketing team of over 50 that has branded the school as one with strengths in numerous disciplines and students who take on multiple challenges and activities. “AND is in our DNA” and “Take a Northwestern Direction” often appear in marketing tools that highlight students who seemed to pave their own path to success or excel in many — often distinct — academic and extracurricular activities. The effort to shape a collective brand began as early as 2014, when University officials began research to bridge differences in marketing between schools and departments. Since then, the team has bought television ads and worked closely with the admissions team to attract top students. Ward will also lead the communications team, where she’ll have the option to take charge as the University’s chief spokesperson. Whether she takes that responsibility is unclear. Until Oct. 1, when Ward joins Northwestern, that role stays with Bob Rowley, the assistant vice president of media relations.